The Center for Creative Leadership has published a White Paper on the game-based leadership project that Triad has developed with their organization. A link to the press release is available here: https://goo.gl/ph6BhK. A link to the White Paper appears here: http://goo.gl/HeSxCP. 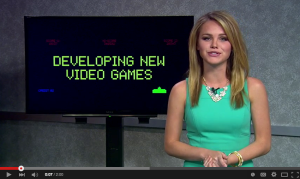 Triad & PlatinuMath on Cronkite News! Exciting news! Triad and PlatinuMath were featured on when a recent panel of educational gaming experts met last week in Washington, DC advocating for more serious educational gaming in schools! PlatinuMath is designed to engage and motivate teachers with learning math and gaming—building a passion for games AND math—so that they make take that passion back to the classroom! See the video here.